Northampton is located approximately 106 km (66 miles) north west of Central London, 88 km (55 miles) south east of Birmingham, 59 km (37 miles) south of Leicester and 88 km (55 miles) west of Cambridge. The town benefits from good road communications with Junction 15 of the M1 Motorway approximately 6.4 km (4 miles) to the south, accessed via the A45, Junction 15a some 6.4 km (4 miles) to the south-west and Junction 16 approximately 8 km (5 miles) to the west, accessed via the A4500. 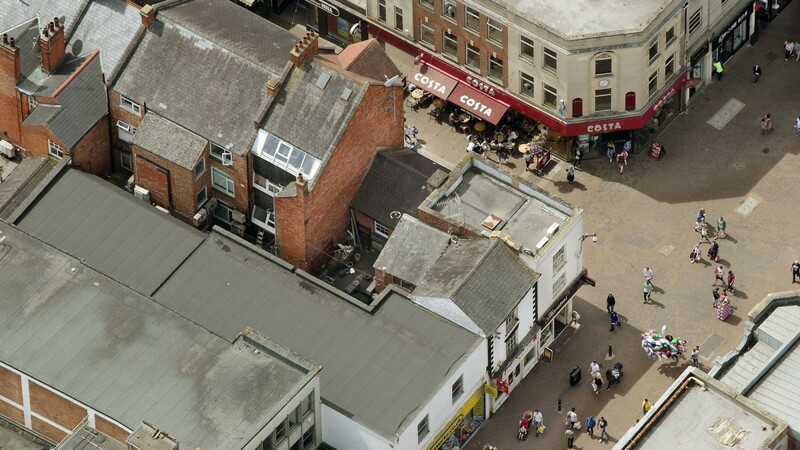 The M1/M6 Motorway Interchange is approximately 29 km (18 miles) to the north-west. In addition, the town is connected to the national railway network with a fastest journey time to London Euston of 49 minutes. 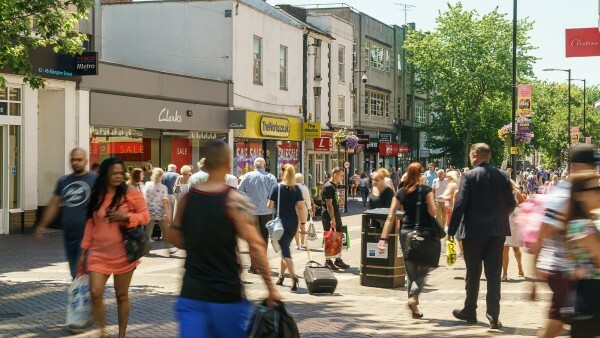 Direct rail connections are also provided to other regional centres including Birmingham, Nottingham and Milton Keynes. London Luton Airport is approximately 61 km (38 miles) to the south-east and Birmingham International Airport is approximately 72 km (45 miles) to the north-west. 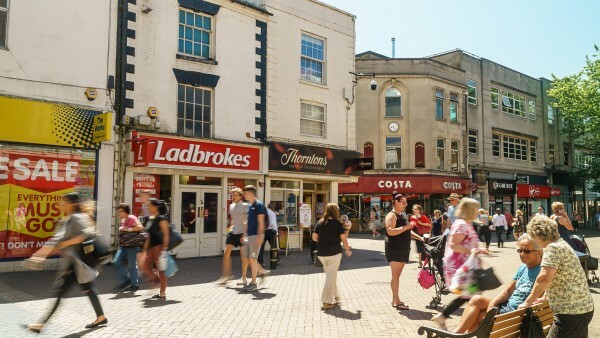 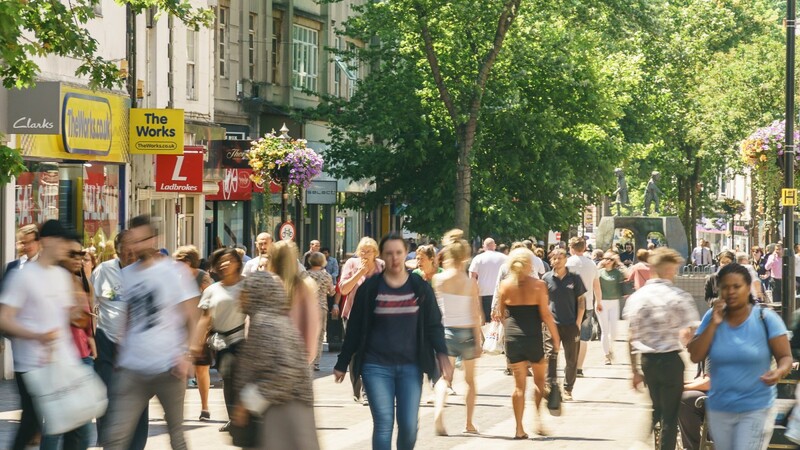 Northampton is located at the heart of the UK, with unrivalled national and international transport links. 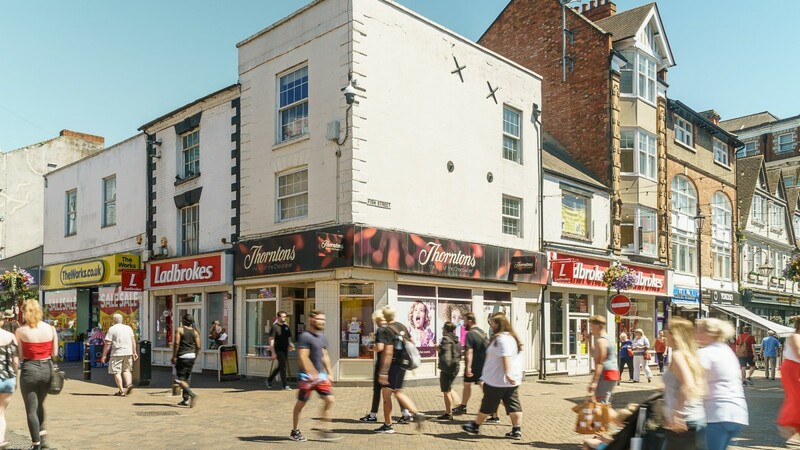 The town has been identified by Government as a key area for economic growth and was singled out in an Experian report as the best place in the UK to do business, the only place in the country to score 19 out of a possible 20 points across four critera: Number of start-ups, rate of insolvencies, level of financial health and business turnover. 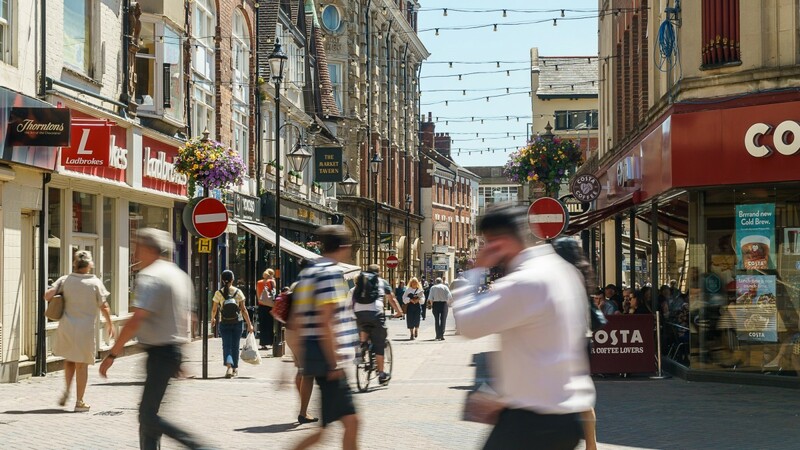 Northampton has also been rated in the UK’s top ten places to work based on factors including average house price, wage and available jobs. 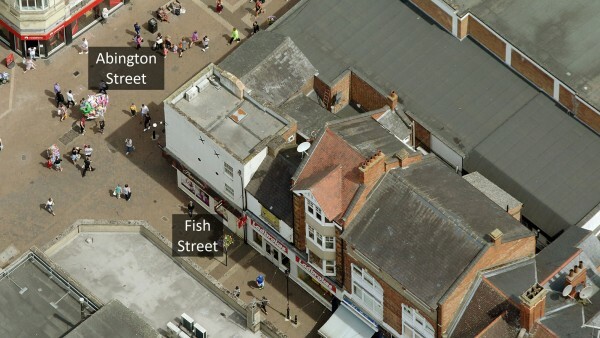 (Source: www.northamptonez.co.uk). 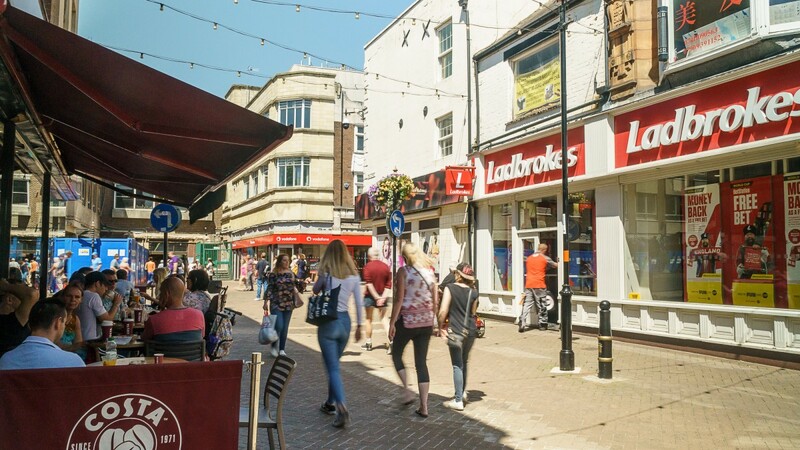 Abington Street is Northampton’s principal retail thoroughfare. 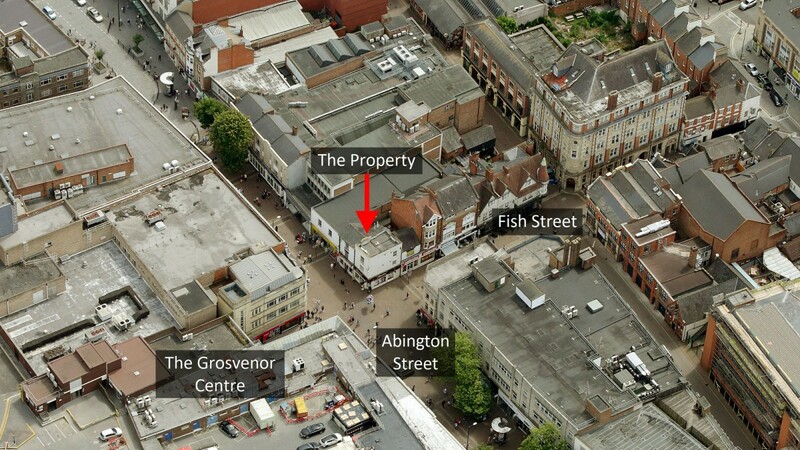 The subject property occupies a prime retailing pitch on the southern side of Abington Street and on the eastern side of Fish Street at its junction with Abington Street. The Grosvenor Centre is immediately opposite. 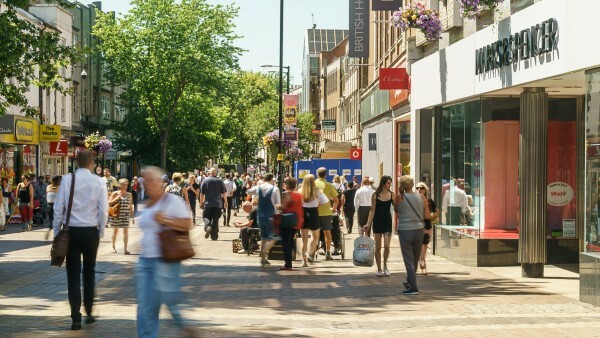 Therefore, the property benefits from a strong pedestrian flow. 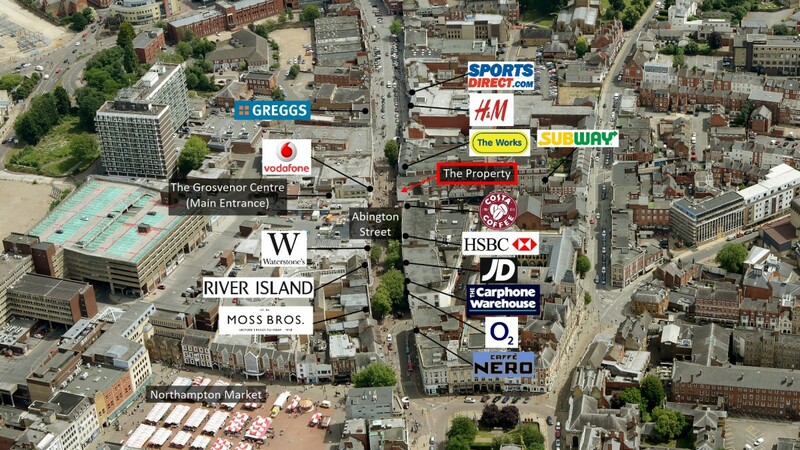 Nearby occupiers include Thorntons (adjacent), Costa, Vodafone, The Works, Clarks, Tesco, H&M, and Specsavers. The Grosvenor Centre totals approximately 29,729 sq m (320,000 sq ft) and is the town’s main shopping centre, benefiting from over 60 shops and eateries plus over 800 car parking spaces. 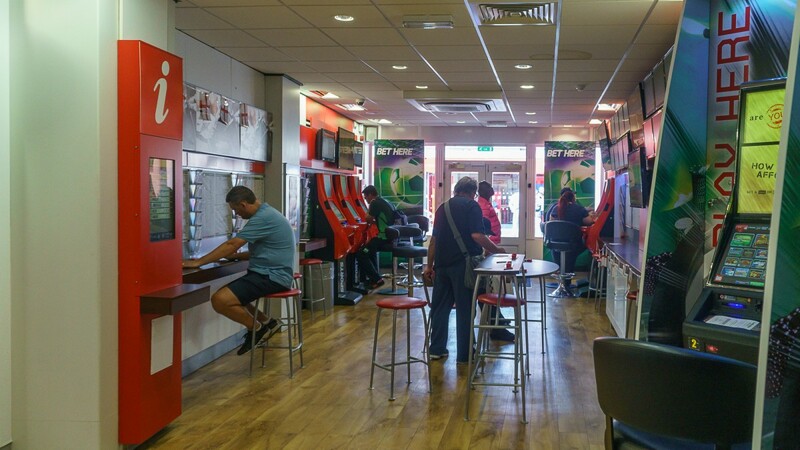 The Centre underwent a significant refurbishment programme throughout 2015 to provide a more modern and stylish shopping environment. 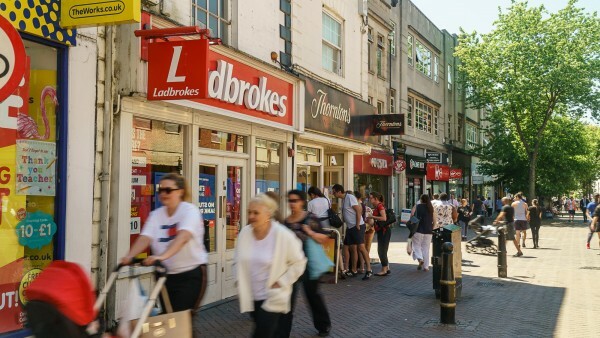 The scheme is anchored by Primark, Next and Boots with other notable brands including Topshop, Superdry, Apple iStore, Lush, Pandora amongst others. The centre’s principal entrance on Abington Street is directly opposite the subject property. 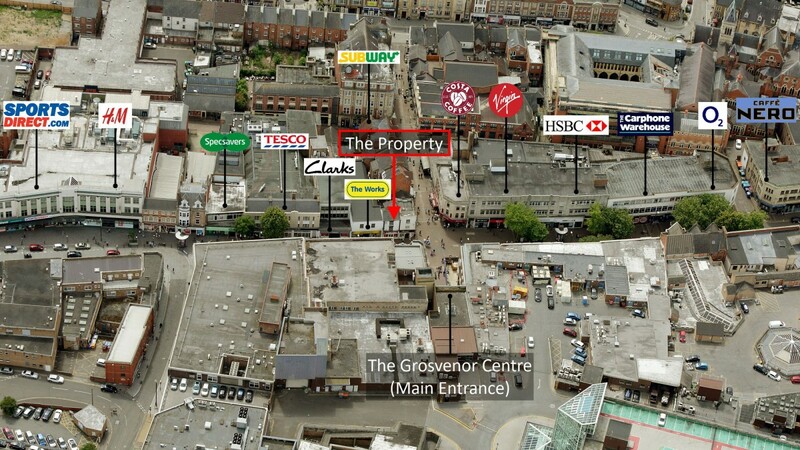 The property comprises a dual aspect ground floor retail unit with basement ancillary accommodation. 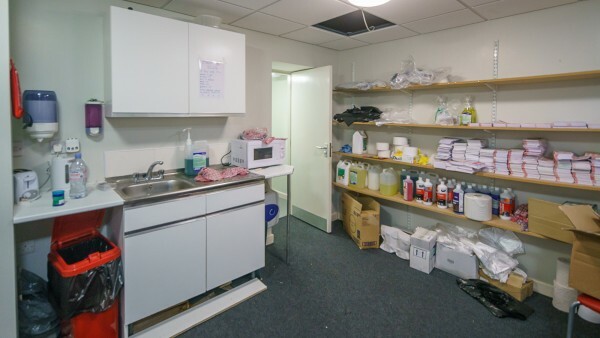 Internally the accommodation has been fitted out by the tenant to their usual corporate style. 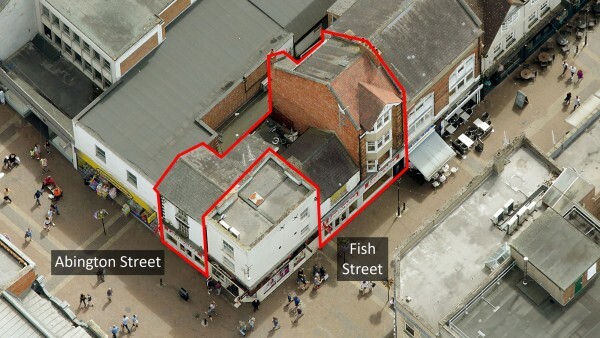 The property has dual entrances via Abington Street and Fish Street with the latter also benefitting from a dual frontage. 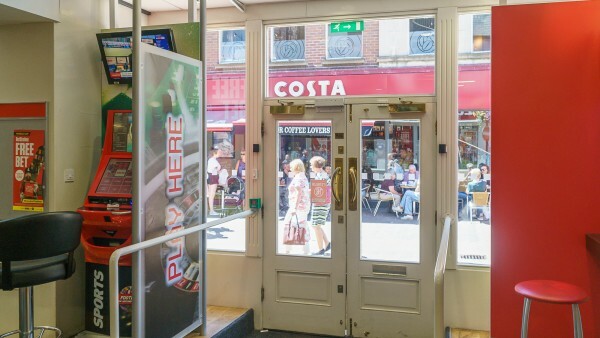 A self-contained hairdressing salon occupies the upper floors which has been sold off on a long lease. 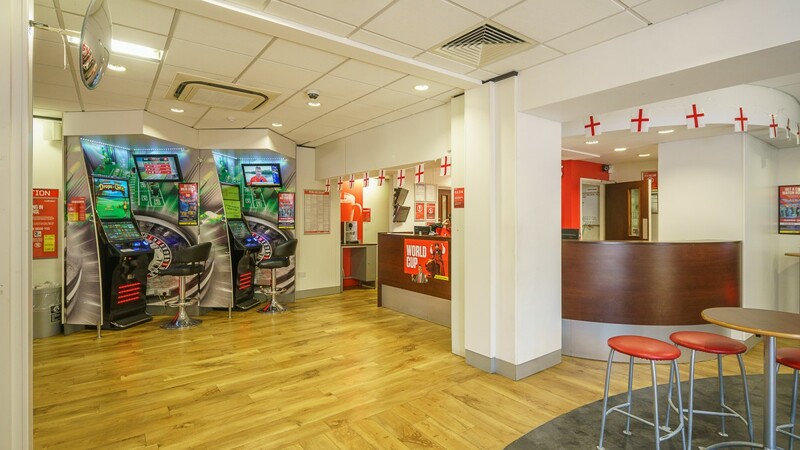 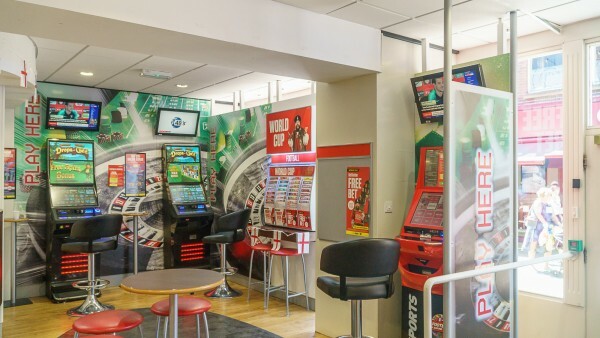 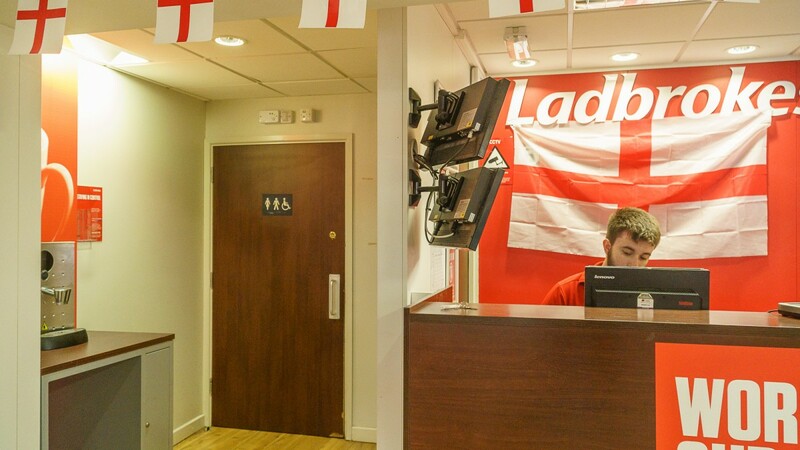 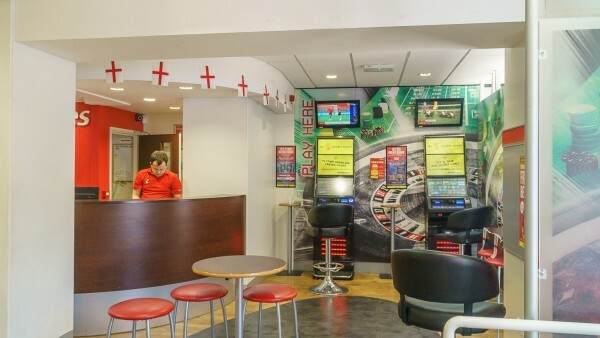 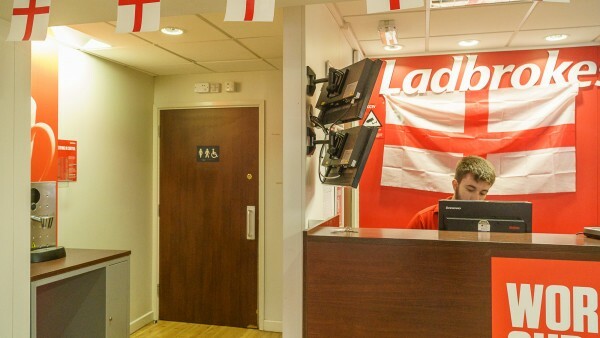 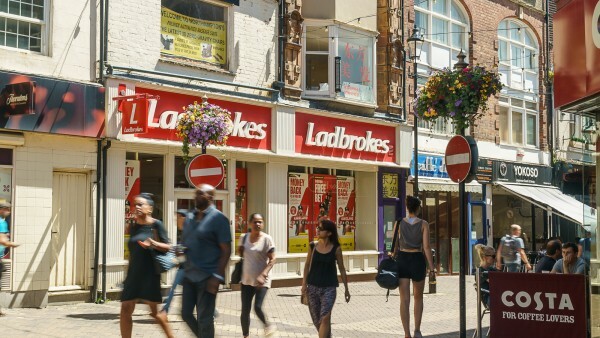 The ground floor and basement are let to Ladbrokes Betting and Gaming Limited on a Full Repairing and Insuring lease for a term of 15 years from 27th February 2012, expiring on 26th February 2027 (in excess of 8.5 years unexpired lease term with no breaks). 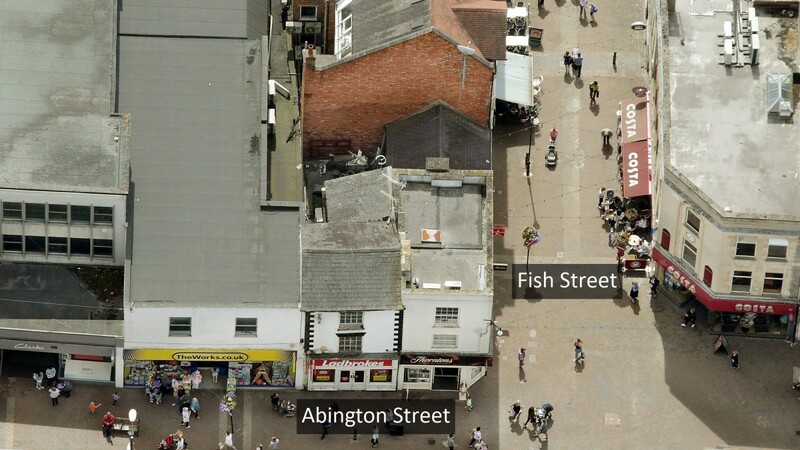 The current passing rent is £75,000 per annum, equating to £84.41 Zone A (Abington Street) and £65.00 Zone A (Fish Street). 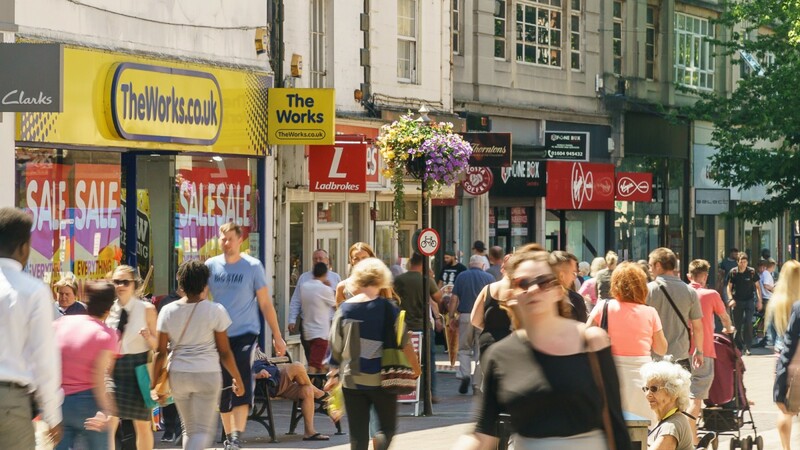 The lease benefits from an upwards only rent review on 27th February 2022. The rent increased from £65,000 per annum to the current level at the 27th February 2017 rent review. The upper floors are let on a 999 year lease from 26th November 2013 at an annual ground rent of £250. 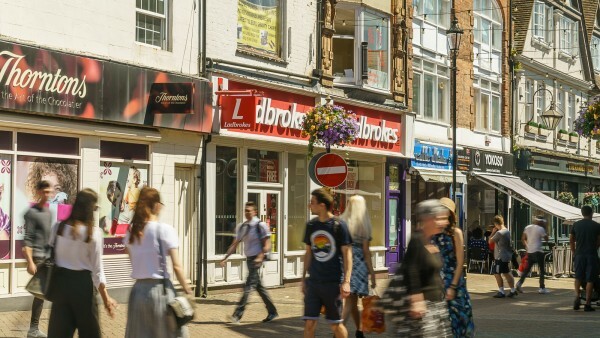 Therefore, the total current income is £75,250 per annum. 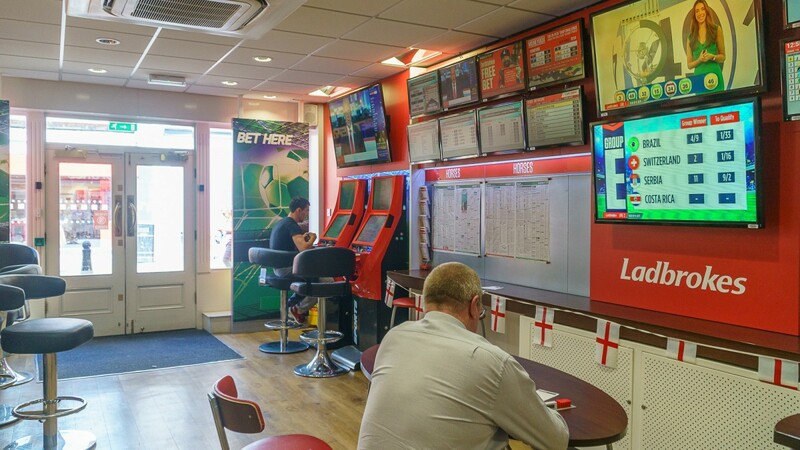 *According to the Strategic Report, the loss for the year was driven by non-trading charges of £573,970,116 (2015: £41,116,776). These include costs associated with the £2.7 billion merger of the ultimate parent company, Ladbrokes PLC, and Gala Coral Group to form Ladbrokes Coral plc, which took place in 2016. 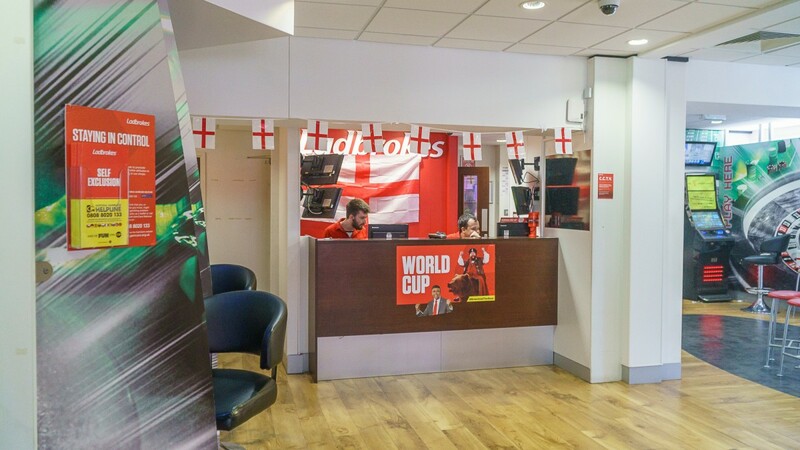 On 28th March 2018, GVC Holdings PLC completed the acquisition of Ladbrokes Coral Group PLC to create one of the worlds’ largest sports betting and gaming Groups. 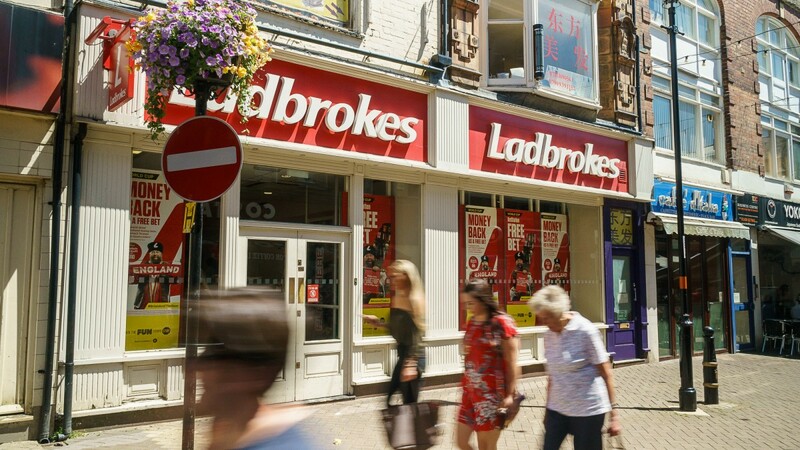 The enlarged Group has a workforce of c.28,000 people and with a network of 3,500 bookmaking shops operating under the separate Ladbrokes and Coral brands, becomes the UK’s largest high street bookmaker. 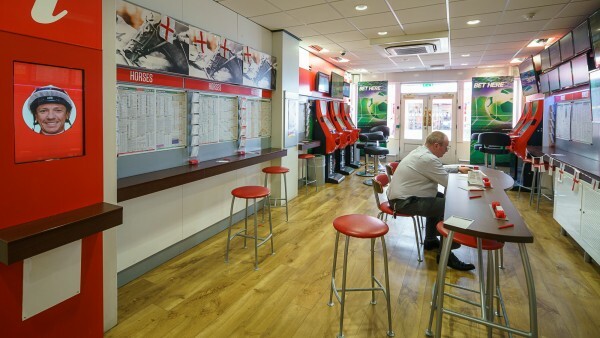 GVC Holdings plc is a multinational sports betting and gaming group operating through online and retail channels. 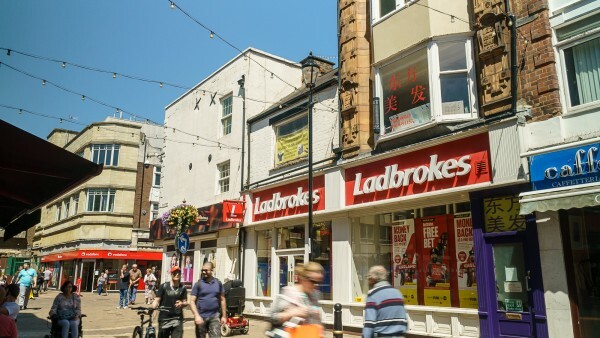 Incorporated in the Isle of Man, GVC is a constituent member of the FTSE 100 with its shares traded on the Main Market of the London Stock Exchange. The Group owns some of the gaming industry’s leading brands including sports betting-led brands Ladbrokes, bwin, Coral and Sportingbet as well as games-led brands such as Gala, partypoker, PartyCasino and Foxy Bingo. 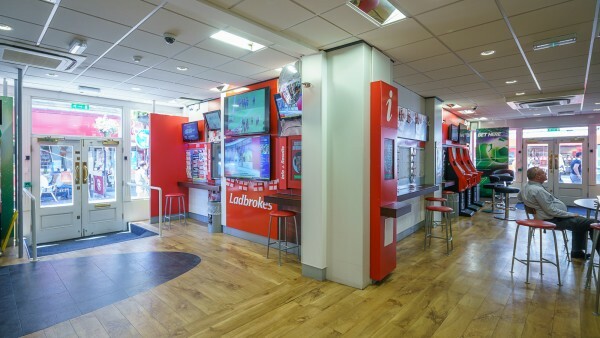 In the 2017 financial year, GVC reported a Revenue of €896.1 million and adjusted profit before tax of €178.2 million. For further information visit www.gvc-plc.com. 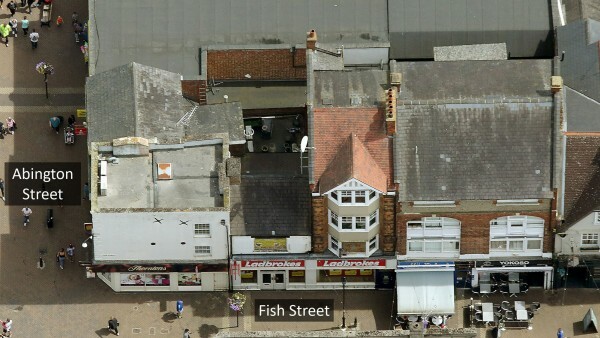 The property has not been registered for VAT. Therefore, no VAT will be payable on the purchase price. We are instructed to seek offers in the region of £900,000 (Nine Hundred Thousand Pounds), subject to contract, reflecting a net initial yield of 7.9%, assuming standard purchaser’s costs of 5.33%. Attractive lot size for investors.